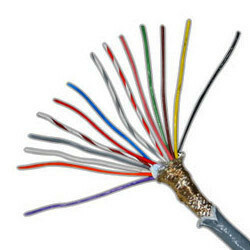 Manufacturer & Exporter of Shielded Cable. Our product range also comprises of PTFE Hook Up Wires, PTFE Cables and Thermocouple Wire. With thorough understanding of the relevant industry, we are offering a wide range of Shield Cable.